Cruise Ship Water Slide Accidents and Water Park Injuries | Florida Cruise Ship Injury Lawyers Gerson & Schwartz, P.A. Cruise lines are in constant competition with each other to create bigger and better attractions on their ships. Some of the most popular features include upgrades to the ship’s pool area, like water slides, wave pools, and other aquatic activities. Unfortunately for passengers, these are also some of the more dangerous features of the ship. Crowded pools, fast slides, and little supervision combine to cause hundreds of injuries every year. When a cruise line fails to construct safe facilities for guests, or fails to monitor or maintain the water slides or wave pools on board, the ship may be responsible for any injuries caused to passengers. 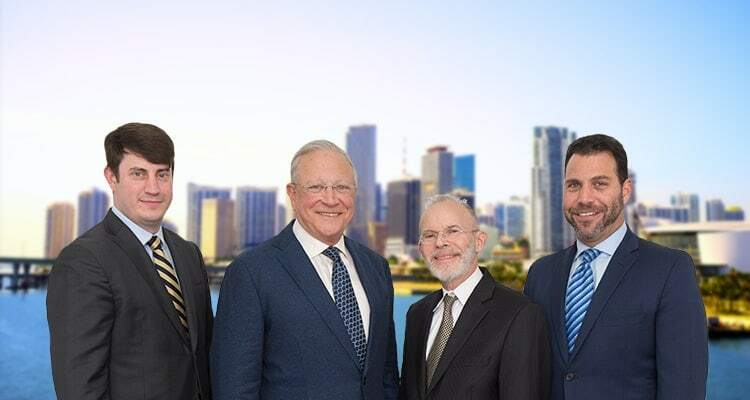 The Miami cruise ship accident lawyers at Gerson & Schwartz, P.A., know the devastation that serious injuries can cause to both the injured person and his or her family, and will help injured people fight for the compensation they deserve after an injury caused by negligence. Many people are drawn to the water, and swimming pools, slides, and other attractions entice both children and adults. Parents with children may spend most of their time on board the ship in the pool areas, watching their children play as they read a book or catch a tan. Adults without children often congregate at poolside bars, and may spend their time lounging in or near the water with a cocktail (or several cocktails). Crowded pool areas can be especially hazardous. Lifeguards on duty may not be able to properly supervise all of the people in the pool areas, which can lead to accidental drownings. Packed pool areas increase the likelihood of injuries caused by slips, falls, or running into other passengers. Additionally, passengers speeding down water slides may injure those crowded around the bottom of the slide or be injured themselves when there are too many swimmers in the landing area. The addition of alcohol to the environment increases the potential for injury for all passengers patronizing the pools. When passengers are overserved and cause injury to themselves or others, the cruise line may also bear some liability for that person’s injuries. If you, your child, or your relative suffered a cruise ship pool injury or was hurt on a cruise ship water slide or wave pool, it is important to seek medical attention as soon as possible. Once you disembark, your next step should be to get experienced legal help from a knowledgeable South Florida cruise ship accident attorney. At Gerson & Schwartz, P.A., our Miami cruise ship injury lawyers have decades of experience helping injured people get justice and full compensation for injuries caused by cruise line negligence. Many cruise lines require passengers to file civil lawsuits within a short time after suffering an injury, and there are important legal deadlines that injured people cannot miss. Contact Gerson & Schwartz, P.A. today, and our attorneys will review your case for free and help you protect your rights. For your complimentary consultation, call our office now at (877) 475-2905.